Discussion in 'Telechips TCC8902 Development' started by tipstir, Sep 17, 2010. "I am not responsible for any bricks or any damages done to your Android Tablet/Device"
You get Rooting and Clockwork Recovery in one shot.... easy! READ RE-READ and READ AGAIN! A version of the Gentouch78 software patch released on 8/22/2010 by Augen was copied and modified to include enhancements like the addition of Clockwork Recovery to make future software updates/flashes by the user easier. This process will also restore applications that originally came with your device such as Youtube, Talk, Gmail, etc. which will be removed by the 8/19/2010 Augen Gentouch software patch. This patch also adds features such as home, back, volume and control panel access buttons available onscreen, etc. This update consists of a two step process. Part 1 will apply the Gentouch software patch with the new clockworkMod Recovery. Part 2 will restore applications that originally came with your device but was removed by the 8/19/2010 Augen patch. this will also give you PandoraDroid Tab Mod. Make Sure you fully understand what the heck your doing before you download and flash! Part 1 --Gentouch78patchv3-Lincs.zip <---download and follow directions in the PDF, its all done with fastboot. once it is finished reboot into recovery only. holding the "home" button and using a toothpick, push the reset, when the creature appears let "home" go and it will go to clockworkMod. while this downloads, lets mount the sdcard to copy this file to. in recovery the back key does just that. the "home" key is enter, the search and menu keys are "up and down". so arrow down to partitions menu, in this list the last one is mount USB storage. arrow down to it and press home "enter" this mounts the sdcard to your pc to copy the file you just downloaded. after you copy PandoraDroid-Tab-v1.0.0.zip to the sdcard you push home to unmount, back to root menu and reboot BACK INTO RECOVERY AGAIN!. now arrow down to "Install zip from sdcard" press home to select. arrow down to "Choose zip from sdcard" and prss home to select, now arrow all the way down to "PandoraDroid-Tab-v1.0.0.zip and press home to select. then arrow to the "Yes" and press "Home" to select and install. once it is done installing successfully, there is one more thing to do. hit the back button to the root menu, arrow down to "Advanced" and press "Home" to select. arrow down to "Wipe Dalvik Cache" and press home to select, yes to accept and home to complete. this will ensure market will work perfectly. now you are done! back up to the root and press home on "reboot System" you are done! log in like regular on a fresh boot. To use this mod correctly, make sure you have an SD Card installed successfully. i have an 8gb class4. the music player originally included in the Gentouch rom was custom moded to read music pics and videos only on the built in 1.5gb Nand. this space is good for storing stuff like an apps folder or stuff apps store on sdcard whatever. just like a phone SDCARD is the best route. 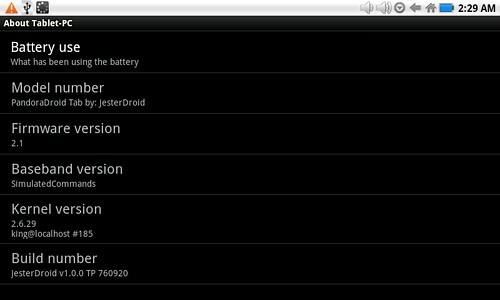 again after flashing any jesterdroid on the augen gentouch the music player only sees music on SDCARD only not nand. Note Authors email is in one of the photos. You can contact him for questions. Thank you! cant wait till i post the update with black status bar and white date and time text. 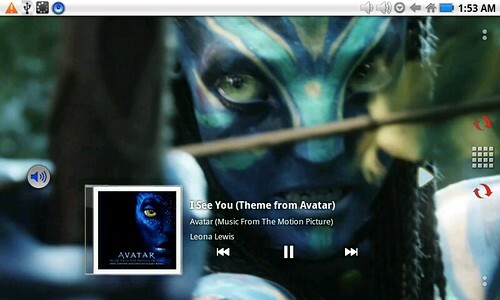 the music player update i did to it is pretty amazing! i love the newer widgets. anyways i appreciate the compliment! For the Gentouch78 I used your rom its great. I have one question mine have a sensor to make it rotate. I was wonder if your rom is set up to use this sensor and how I can romve RotateD.apk if so. Is this app preventing it to rotate with sonsor? this is not a dead project. maybe u can release ur sourse code? i like this version it fixed my cant add widget problem. I have been working w/ the GT78 since they 1st were released and like mine a lot. However it seems like everytime i get it set up EXACTLY the way I want it, a new FW release comes out that DOES resolve one or several serious issues I'm having so I upgrade and then spend an entire day putting things back. I also have a zt180, and I know that with that there is 1 USER file you can leave OUT of a flash and it wont over write anything. #1 - Does this FW have anything like that available? #2 - After NOT having a working Market, my LAST update (lincV3) which was my 2nd application of the same FW, seemed o resolve that. Unfortunately I turned it on the other day and now I;m STUCK on DOWNLOADING. Do you think that this FW will resolve that? #3 - It may be here and I just missed it, but can one of you 2 summerize the "improvements". fixes or what have you that this FW has over LincV3? Thanks for all your work, I know that the opensource folks dont get a fraction of the recognition that they should! I have an Augen Gentouch78 Version 1. Following this tutorial, using the files linked in this tutorial, bricked my tablet. It all worked fine, no errors at any point in the flashing or installation process. 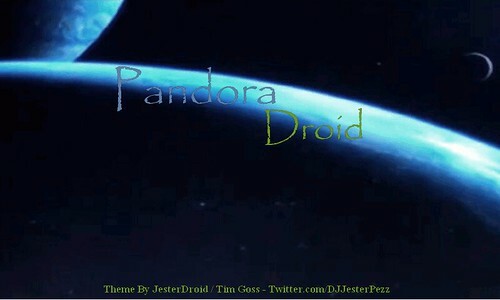 Upon rebooting the tablet it loaded up to the Pandora loading screen posted earlier: however hung there forever. I had it plugged in and left it there while I went to work, and it was still sitting there when I got back 9 hours later. I know for a fact that this tutorial HAS worked for other people with the same version gentouch78 tablet because that is how I found it (a friend forwarded the link to this page). I just want people to know that there DEFINITELY is a chance of bricking your tablet when you do things like this. I am NOT at all saying that it was the original posters fault or that this tutorial doesn't work. I am only saying that sometimes things go wrong even when all installations/transfers/flashes say they have completed successfully. I will be restoring my tablet to the factory backup I made prior to following this tutorial and I will try again. I will post my results when I have completed this. Does it works on other tcc8900 tablets?